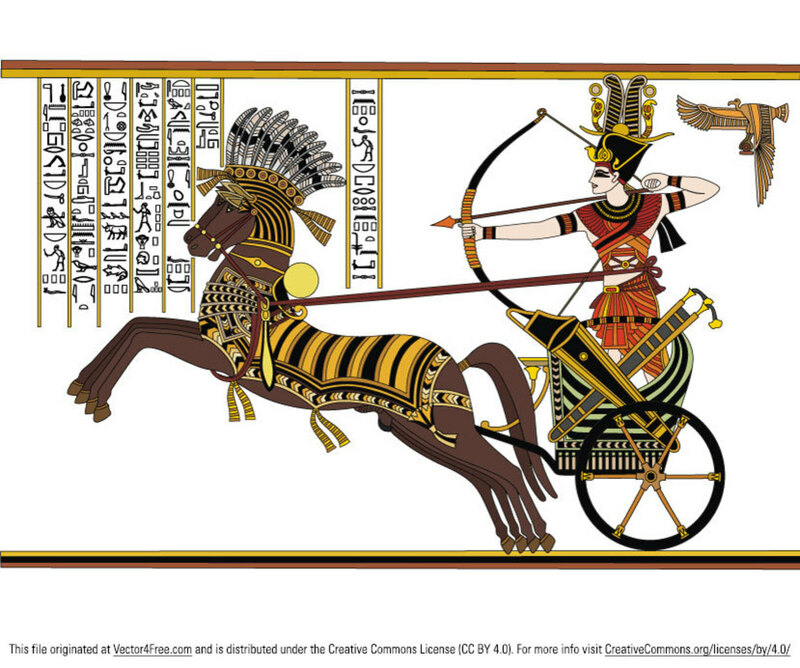 This historical vector graphic illustrate Ramesses II Egyptian Pharaoh referred to as Ramesses the Great in his war chariot in the battle of Kadesh between Egyptian Empire and Hittite Empire. Battle of Kadesh was probably the largest chariot battle ever. About 5,0006,000 chariots took part in this battle. You can download this vector historic illustration in the zip file that contains files in the EPS, SVG and DWG format.